Just what is Kongregate, anyway? 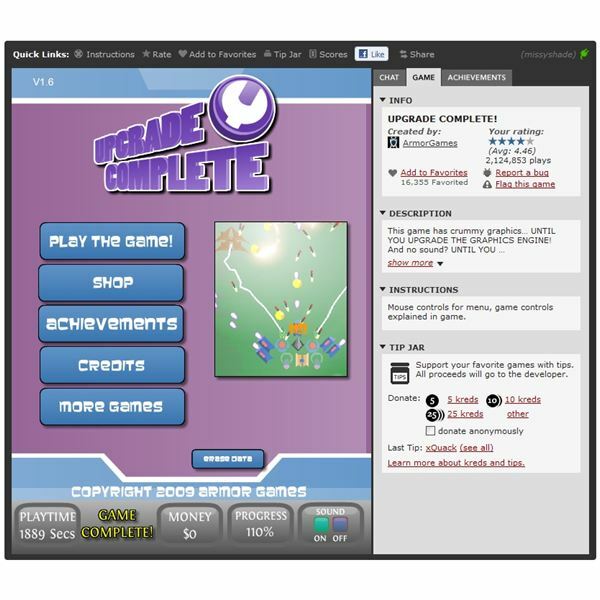 Kongregate is a social gaming website and network for casual and browser-based gaming. Launched in 2006, the website offers a variety of games, both submitted by individual developers and as cross-linked from other gaming sites such as ArmorGames. Kongregate is completely free to use for both gamers and developers alike. Players who wish to participate in Kongai (an exclusive card game), or who would like to support gaming developers, can purchase Kreds, a special currency that can be used across the site. Kongregate is also connected to GameStop's PowerUp Rewards program. In addition to offering a social network for casual gamers, the website offers tools and revenue sharing for game developers, an achievement system, badges, chat, forums, challenges, quests, and contests. the ultra-quick, ultra-casual Flash platformer, to single-player RPGs, to browser-based MMORPGs (massively multiplayer online role-playing games). All games on Kongregate are integrated into Kongregate's unique gaming platform. This gaming platform integrates the social aspects of the site with the game itself, by placing the game within a frame. This frame allows players to view instructions and information about the game, donate Kreds to the developer, add the game to their favorites, rate the game, comment on the game, and even join in Kongregate's live chat. In addition, many of the games on Kongregate offer achievements, rated either Easy, Medium, Hard, or Impossible. These achievements are part of a player's social profile, and are added by Kongregate to games that perform well on the site and integrate Kongregate's API for developers. 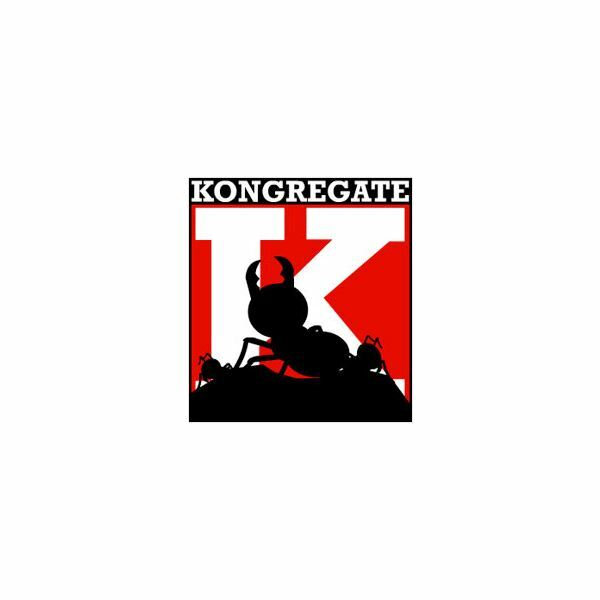 Some of the most popular games on Kongregate include "Shopping Cart Hero," "Platform Racing 2," "Epic War 3," "Gemcraft," and "Music Catch 2." MMOs on Kongregate include "Heroes of Gaia" and "Remnants of Skystone." Occasionally, Kongregate will also host contests in which players earn a raffle ticket by completing a specific game achievement. These contests usually reward recently released console games, sometimes packaged with the console itself, and are now sponsored by GameStop. Every player on Kongregate gets their own personal social profile. In addition to having their own name and personalize avatar, players can connect with friends and even refer friends to Kongregate through a personalized referral link. Players on Kongregate can gain "levels" in a similar fashion to other role-playing games. Levels can be gained by earning points, which can be acquired in several ways: completing achievements, referring a friend, and rating games, art, and sound files. Players also earn points for each of the first ten levels each of their referrals earn. Developers also gain points based on the ratings of their games by other users. 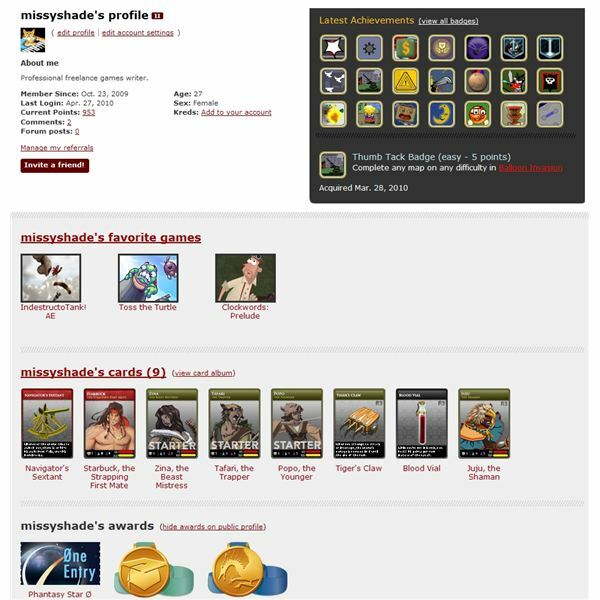 A Kongregate player profile displays basic information about the user, their most recently earned achievements, the player's favorite games, their Kongai cards, their earned awards, and their friends. Each profile also offers a shoutbox where others can come by and leave notes for or about the player. Forums and a live chat are also offered to all players. The live chat can be accessed from any game. For developers, artists, and musicians, Kongregate also offers Kongregate Collabs. This section of the site aims to help connect talented individuals together to produce new games. The Collabs also offers free browser-based tools such as Aviary imagery tools. Contests are also often held to draw out the best in game developers, who can earn valuable prizes including cash and sponsorships. In July 2010, video game retailer GameStop purchased Kongregate. While the site continued its regular business model, it also connected players to the retailer through the PowerUp Rewards program. The PowerUp Rewards program is a special customer rewards program which rewards United States customers with points on each purchase they make in the store, which can then be exchanged for a catalog of prizes. The program also offers other special benefits, including a subscription to "GameInformer," event invitations, and discounts. Players on Kongregate can now connect their Kongregate account to their PowerUp Rewards account. 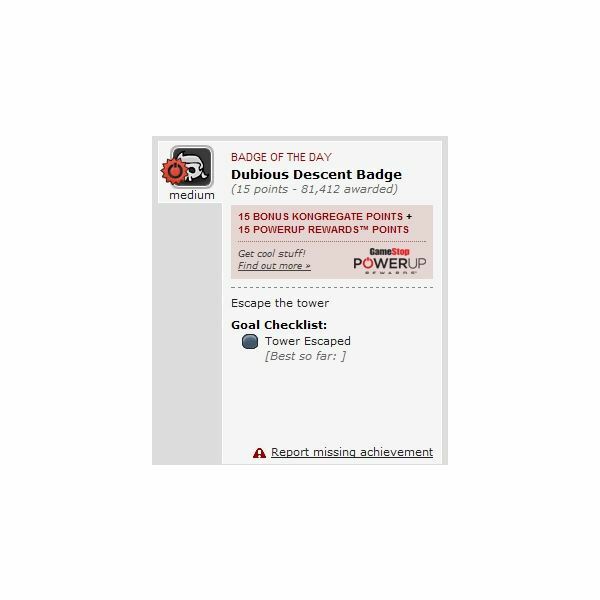 Doing so will allow them to earn extra PowerUp Reward points by earning the "Badge of the Day," which can be found on the main page as well as the Badges page. The "Badge of the Day" also rewards double Kongregate points. Points can also be earned through downloading Kongregate's mobile app and purchasing Kreds. All screenshots and references from Kongregate.com. Screenshots provided by author.